12-Step Guide to Renting Out a Room in Your House - Should You Do It? Another month has come and gone, and you’ve just barely been able to pay your mortgage. You breathe a sigh of relief, but soon you start to dread next month’s bills. If this sounds familiar, you’re not alone. Many people are in a similar situation. Month after month, they frantically search for ways to pay their mortgage and put food on the table. It’s a stressful and dispiriting situation. Thankfully, there is a solution. Many struggling homeowners are renting a room in their homes to help make ends meet. While this may seem like a drastic step, opening one’s home to boarders was a common practice just a century ago. Hosting a tenant is an easy way to help pay bills and may even provide a thicker financial cushion. So, how do you go about finding a trustworthy renter? And how do you navigate federal, state, and local laws? Let’s take a look at some guidelines that will help you rent out a room in your home successfully. 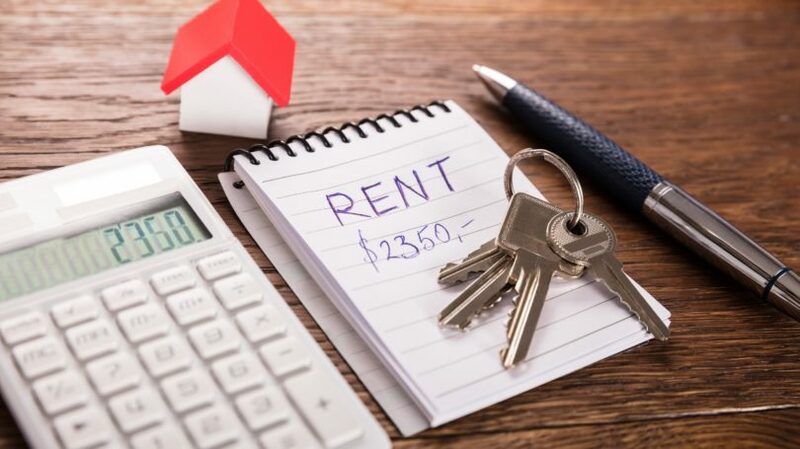 Perhaps the most significant advantage is that the rent you receive will help offset the cost of home ownership — namely, your mortgage and other upkeep expenses. You can use this additional income to help pay off your mortgage faster, pay off a credit card or student loan debt, invest in home renovations, or pad your emergency fund. Whatever you decide to do with it, earning an extra $500 or more per month can make a huge difference in your monthly budget. 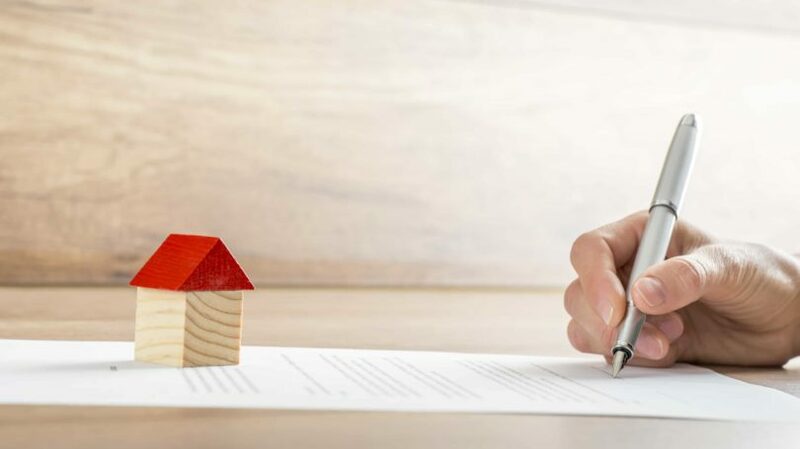 Depending on how you choose to structure your lease agreement, you might benefit from having your renter help out around the house in exchange for a discount on rent. For some families, having an extra pair of hands to help with household chores or pet sitting might be worth charging the renter a little less per month. Or, if you’re a senior and live alone, having another person live in your home can give you peace of mind. The assurance of knowing someone will be nearby in case of a medical emergency or a bad fall can be a great incentive. The biggest drawback when it comes to renting out a room in your home is the concern for safety. Opening your doors to a stranger could make you or members of your family uncomfortable. You might worry that they’ll steal some of your possessions, or invite untrustworthy people over to hang out or spend the night. It can also be challenging to find a tenant whose personality and living habits mesh well with yours. For example, if you’re a quiet person who’s in bed by 8pm, it will be difficult to share a house with someone who likes to stay up late playing loud music. Finding a compatible tenant is essential to maintaining harmony in a home. Your first step is to find out the tenant laws and ordinances in your city or municipality. As you might expect, requirements differ from one town to the next. For example, most city ordinances require renters to have access to operational plumbing and clean running water. Some cities require units to have windows large enough to be used as a fire escape. Housing laws like these are pretty standard. However, some municipalities might require the rented room to have outdoor access. And in specific areas, renting out a room to a non-relative is prohibited. Call your local housing authority, or visit your city government website to find legal information regarding renting a room in your area. If you’re a member of a homeowners association (HOA) or condo association, check the by-laws to see if rentals are allowed. Many HOAs and other associations prohibit this type of arrangement. After ensuring that you are legally allowed to rent a room in your home, check to see if your homeowners insurance policy approves it. Some companies do not have a problem with it, while others specifically prohibit renting parts of your house. Additionally, some companies won’t raise rates at all if you rent to a tenant, while others will increase your rate dramatically. Hosting a tenant increases your liability and risk of property damage. Your insurance carrier might revoke your coverage entirely if you take on a renter. If that happens, you’ll have to get landlord insurance, which typically costs 15% to 20% more than homeowners insurance. Now that you have the green light from legal and insurance requirements, you can start thinking about the details. The next step is to think about your home’s layout. You are most likely sleeping in a master bedroom with an attached bathroom. If so, you’re probably considering renting out a spare bedroom and allowing the tenant to use a bathroom down the hall. While renting out the spare bedroom will work, consider renting out your master bedroom instead. Even though you would have to move into your extra room, you would be able to charge a higher rent for the master bedroom and bathroom. Of course, a basement with a private bathroom and kitchenette is ideal for renting because it offers more privacy than a room on a shared floor of the house. Whatever you decide to do, try to come up with an arrangement that offers both you and your future tenant comfort and privacy. Before quoting a price in your advertisement, check comparable rental rates in your area to find out how much you should charge for your space. You can use Craigslist for this or check Rentometer. Thankfully, the days are gone when you had to publish an ad on Craigslist and filter through dozens of inquiries from applicants you wouldn’t be friends with, much less invite to live in your home. Today, services such as Roommates, SpareRoom, and Roomster make it easy to find potential tenants based on their personality and habits. Think of it as online dating, but for roommates instead of soul mates. These sites allow you to advertise your room and sort through potential tenants based on their online profile and lifestyle. When it comes to your listing, upload pictures that give people a good view of the room. Be transparent about what you’re willing to share, such as the use of a pool or garage space. Upload pictures of the house itself, as well as any common areas you’ll be sharing. Some states, such as California, also prohibit housing discrimination based on sexual orientation and gender orientation. Visit the Human Rights Campaign to see a guideline of laws by state. The FHA, however, does not protect individuals with a criminal history. According to the NAACP, one out of every 37 adults in the U.S. is under some form of correctional supervision. In fact, the National Reentry Resource Center reports that over nine million prisoners are released back into their communities each year. There is a chance that one or more of your applicants will have a criminal history. Many previously incarcerated people go on to live law-abiding, productive lives once their sentence is over; however, you may still feel uncomfortable with the thought of one of them living in your home. Although the FHA doesn’t explicitly protect incarcerated individuals, many state and local laws do. Again, it’s essential that you research your state and local laws to make sure that you don’t inadvertently discriminate when searching for a tenant. The FHA also prohibits discrimination wherein the renter holds one class or type of person to a different standard than another applicant. For example, imagine that you secretly don’t want to rent out a room in your home to a single mother. You find out that one applicant is a single mom, so you require her to have a higher credit score than your other applicants, and then turn her down because her score isn’t high enough. Under FHA standards, this is illegal. Or, imagine that you don’t want pets in your home. If an applicant has a service dog and you turn him down due to your “no pets policy,” according to the FHA, you would be breaking the law. Take time to learn the fair housing laws at the U.S. Department of Housing and Urban Development (HUD). You’ll also want to create a tenant screening criteria form, which will help protect you if a potential tenant files a discrimination claim against you. This form lists each criterion you look at when you’re vetting prospective tenants. Yes, creating this form is more work, but it might help you avoid the $16,000 fine you’ll get if you can’t provide a successful defense. This penalty does not include any court costs or attorney fees you would have to pay. Penalties go up dramatically after the first offense, so make sure you follow the law when it comes to screening tenants. You can find free examples of tenant screening criteria forms online. While you must be very careful when approving or denying an applicant, there is some leeway. All rentals must abide by the FHA. However, you might be exempt from the FHA if you own the home you are living in and if it has fewer than four rental units. This exception is called the Mrs. Murphy Exemption. This exemption is named after a hypothetical senior woman who wants to rent out a room in her home to supplement her limited income. If applicable, the homeowner has the power to pick and choose who can live in the house. However, not every state recognizes The Mrs. Murphy Exemption. Check this list to see if and how it applies in your state. Where are you currently living or renting? What about this home and living situation is appealing to you? What is your preferred move in date? How long do you need or want to rent? Will anyone be living with you? Will your current landlord give you a good reference? If not, why? Will you be able to pass a background and credit check? All of the questions above are safe to ask. Specific issues, however, must be carefully articulated. For example, although you can’t legally ask if an applicant has children, you can ask if anyone will be moving in with them. Make sure you carefully review information about the Fair Housing Act, so that you aren’t risking a lawsuit by asking an illegal question. Once you’ve interviewed possible tenants and found one whose personality seems to mesh well with yours, the next step is to perform a background check. There are different levels of background checks, from a simple credit report to a full criminal record check. Regardless of the type of report you choose, as a landlord, you are required by the Fair Credit Reporting Act to use a Consumer Reporting Agency (CRA). CRAs must maintain specific standards of privacy and, therefore, help protect both you and your tenant. In other words, you must tell the applicant exactly why you’re rejecting their application and give them the contact information of the company you used to get the report. This company must comply with the Fair Credit Reporting Act, or you’ll risk a hefty fine or even jail time if the person you rejected decides to sue. The Consumer Financial Protection Bureau has a list of approved CRAs and tenant screening agencies. And although the CFPB report did not mention RentPrep, they are compliant under the Fair Credit Reporting Act as well. Your rental income is taxable income, which means you have to claim all incoming rent on your taxes. The amount you pay will depend on your marginal tax rate. You’ll also have to pay state and local taxes on this income. Additionally, you must claim any services you receive from your tenant in exchange for rent. For example, if your tenant agrees to do yard work in exchange for a $100 per month rent credit, it is still considered “income,” and therefore, you have to claim those services on your taxes. Find more information about taxable income via the IRS. Here’s some good news: when you rent out a room in your home, you can fully deduct any expenses you incur to improve that room. For example, this could include repairs and upgrades such as new paint, new windows, or new carpeting. You can also deduct expenses you incur for the entire home; however, you must divide those expenses by the square footage of the room you’re renting out. Measure the length and width of the room you plan to rent, then multiply these totals to find the room’s total square footage. Find out your home’s total square footage. Divide the room’s square footage by your home’s total square footage; this number is the percent of rentable space and the amount you can deduct from “whole house” projects and expenses. Once you find a tenant you like and feel you can trust, set and communicate your boundaries from day one. Create a lease agreement, which both of you sign, that notes the details of your living arrangement. For instance, will your boarder pay a monthly flat rental fee, or will they be responsible for a portion of the utilities? How and where will food be stored? What about access to other common living areas? Are pets allowed? If so, do you want to implement any breed or size restrictions? What about overnight visitors? Will you have designated hours for when the tenant can use the washing machine? All of these details need to be worked out and discussed before your tenant moves in. Last, collect a security deposit and spell out, in your lease, what damages will cause your tenant to lose their deposit. Again, research your state’s housing laws to make sure you don’t charge too much for a security deposit. Many states also require that you put the security deposit in an escrow or other “holding account” until the tenant moves out. Visit the Landlordology website to see a map of each state’s housing laws, including the statutes surrounding security deposits, to make sure you comply. You can also visit HUD.gov to see a list of each state’s laws and resources when it comes to renting. Over time, you might discover that your tenant is entirely trustworthy and you could leave piles of cash or gold doubloons on the counter without worrying. However, until that happy day comes, take steps to secure your most valuable possessions. You may need to put your jewelry in a safe or install a key-lock door on your bedroom to keep larger items secure when you’re not at home. Don’t forget to secure any documents that might put you at risk for identity theft, such as birth certificates, credit card applications, and other financial forms. You’ll also want to stay on top of the incoming mail and make sure that sensitive documents are put away promptly or shredded. Once your tenant moves in, it’s important to realize that their room belongs to them while they’re paying rent. For example, by law, you cannot enter their space without giving 24 hours’ notice. Extend the same level of respect and privacy to your tenant that you expect them to extend to you. Treat your tenant’s room as a private residence. Familiarize yourself with the laws surrounding this issue because you could be sued for a violation of privacy if you don’t comply. Although renting out a room in your home may seem like a drastic measure, it’s becoming more commonplace as homeowners look for creative ways to help make ends meet. With the right preparation and a compatible tenant, it can be a positive, money-saving experience for both parties. Moreover, you might be surprised to find that you enjoy having a tenant in your home, especially if you’re single or an empty nester. Have you ever rented out a room in your home? How was the experience? If not, would you ever consider doing so?